Originally from Michoacán in Mexico, Alma has lived on the island since 2004. Since she was 10, she has wanted to be a hair stylist. Her dream are coming true as she was chosen to be the first Spa d Bune Apprentice in July 2015. She is learning real industry skills from our practicing professionals. Apprenticeship is real-time training with real clients here at the spa. Alma has started building her business, client base and career here on San Juan Island. She lives here with her husband, and their two girls. 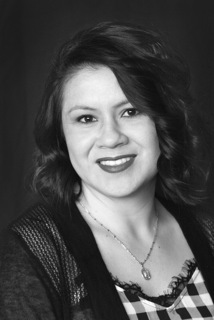 Alma has completed the apprenticeship program and is now a licensed stylist at the spa.